Since the mid-1990’s, Hetherington Group has been rated in the top 5% of training events nation-wide. Cynthia Hetherington, Hg’s founder and president, has trained over 180,000 investigators, security professionals, attorneys, accountants, auditors, military intelligence professionals, and federal, state, and local agencies as well as regional and international associations. Classes are offered on location, at conferences, and as webinars. Instruction is always targeted to the specific audience and need. Cyber Intelligence Series for Corporate Investigators. All Hg training classes are approved as continuing professional education credits by ACFE, NASBA, DHS, LPF, SHRM-CP/SHRM-SCP, and ASIS. Every investigation involves, at some level, social media and open source examinations. This introductory class examines the different types of open source and social media platforms and the language of this unique investigative world. 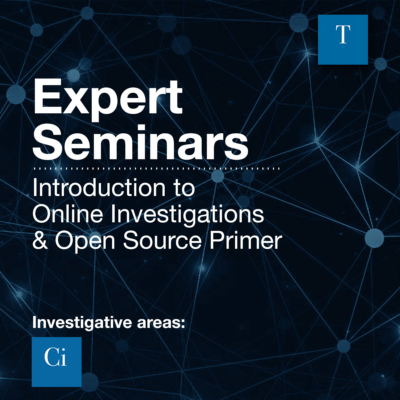 In this introductory hands-on course, participants will learn the types, differences, and jargon of open source investigations. During the training, you will conduct open source research, driven by a case study. Upon completion, field investigators will be able to navigate the Internet and social media platforms for rudimentary online investigations as well as use time and resources more efficiently. Today, investigators heavily rely on computers and Web applications to track down facts and follow leads. This class offers a comprehensive overview of how to conduct an investigation using the Internet and computer software. In this introductory hands-on course, participants will learn how to in-take an online case, understand the parameters of the work; establish goals; and create investigative notes C.Y.A. (Cover Your Analysts!). We will discuss how to identify expectations and establish parameters for all involved (client, sub-contractor, and your own) at the beginning of your investigation to keep the entire case in check. Upon completion, field investigators will be able to differentiate between the Web and Web 2.0 applications and capture online facts and leads. With new social media platforms coming online at a rapid pace, capturing leads and evidence in social media networks is more complex than ever.This introductory class explores how some best practices can be utilized to capture and save the results you need to report back to your clients. In this introductory hands-on course, participants will learn helpful tools to help capture and store findings online. Several tools, free and fee-based, as well as sample reports will be reviewed and shared. Upon completion of this course, field investigators will be able to implement documentation procedures for creating sharp and understandable reports. As investigators, we are governed by foreign and domestic ethics standards and laws.Yet, everyday an investigator, attorney, or accountant appears in the news for crossing the line using the Internet to research, contact, or connect with their target. They find themselves using technology workarounds, finding holes in the system, or outright hacking to gain information. 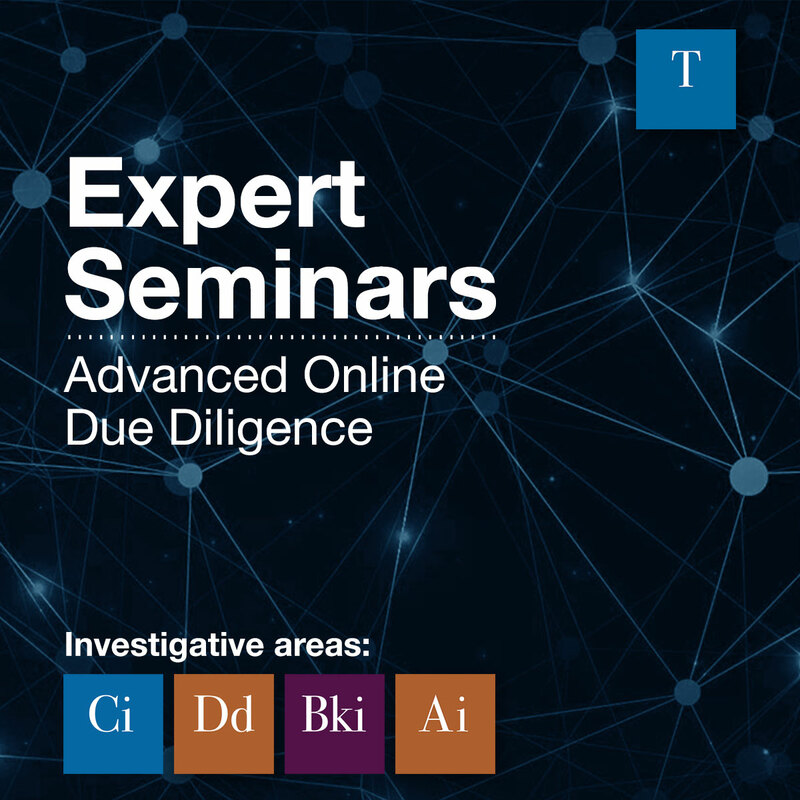 This introductory hands-on course offers a comprehensive overview of the legal parameters for conducting online investigations. We will discuss current laws, acceptable practices, and pitfalls that can occur in investigations. Upon completion, field investigators will be able to identify drawbacks to taking shortcuts in online investigations, understand the laws and compliance requirements to stay inline online, and garner the resources for staying abreast of current issues and legal requirements. The ability to uncover information on the Internet is the primary skill of an online investigator. 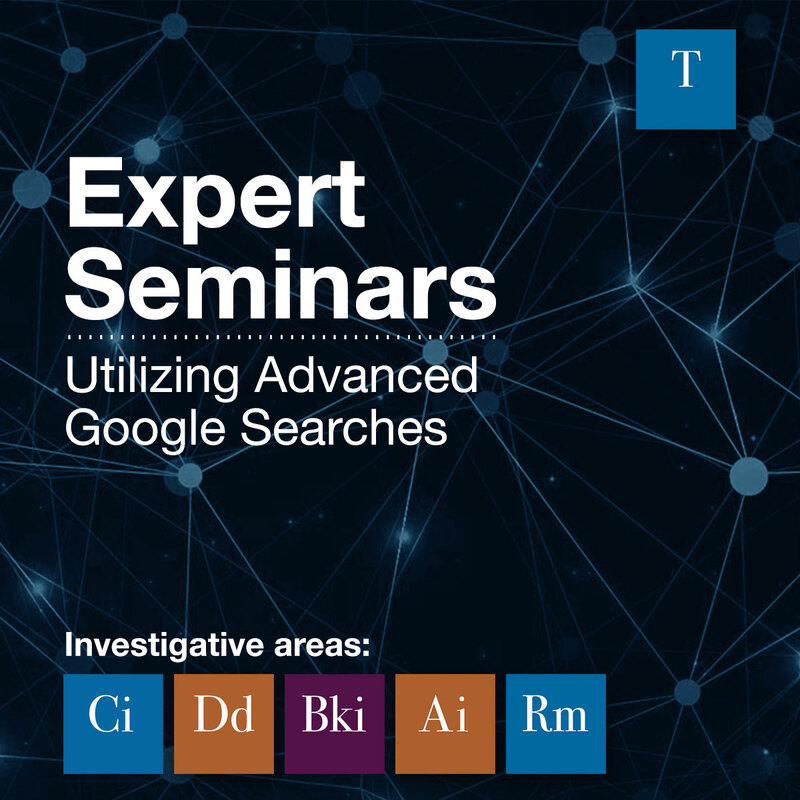 The go-to resource for many is Google, yet not everyone knows how to utilize its full potential.This class expands your general knowledge of the search engine, making difficult searches more effective. In this intermediate to advanced hands-on class, participants will learn how to maximize Google searches, as we cover the basics, the hacks, and extra Google resources to create proper search strategies and run advanced Internet searches. Participants will also learn the expert tools of this common search application to make difficult searches more effective. 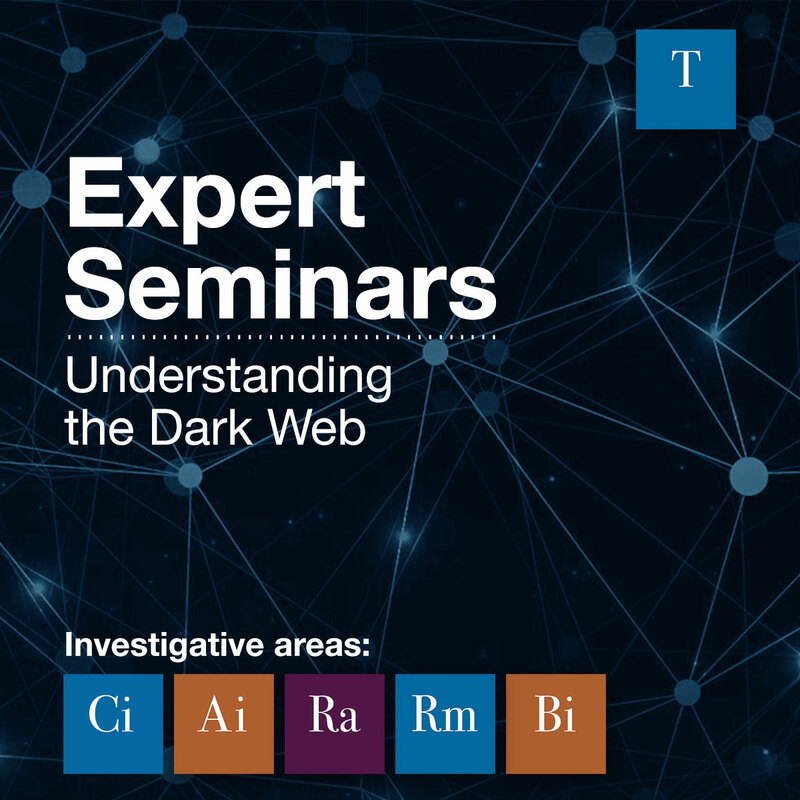 Upon completion of the course, field investigators will be able to hunt down deep web content; conduct advanced search strategies on Google, Bing, and other search engines; and use algorithms for surface finds and open source results. In this beginner to intermediate hands-on course, we will go beyond identifying targets and locating their social media accounts. Participants will learn how to open every aspect of social media to explore where key information can be hidden or overlooked. You will identify which search engine to use, when to use it, and what results you should expect from each by conducting hands-on advanced Internet and social media searches. We will also evaluate and review several free and fee-based resources on the market for locating unique information and monitoring social media. 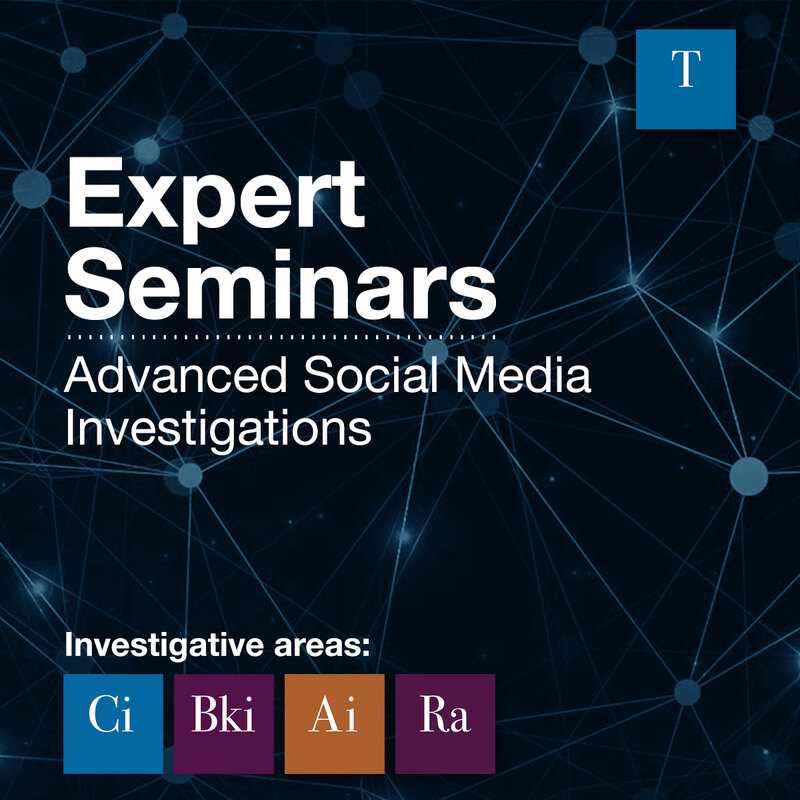 Upon completion of this course, investigators will be able to conduct advanced search strategies; utilize social media search tools; and incorporate free and fee-based alert services and monitoring tools into their investigations. Everyone is at risk for identity theft, online and physical stalking, and harassment. Beyond social media, your public records are for sale, so your home address and assets are easily located through simple online searches.This course provides a through description of how and where your data is stored and how to remove it. Many social networks and online information sources either allow the subjects of searches to see who has been searching them or provide some fairly obvious clues as to who is looking at their information. 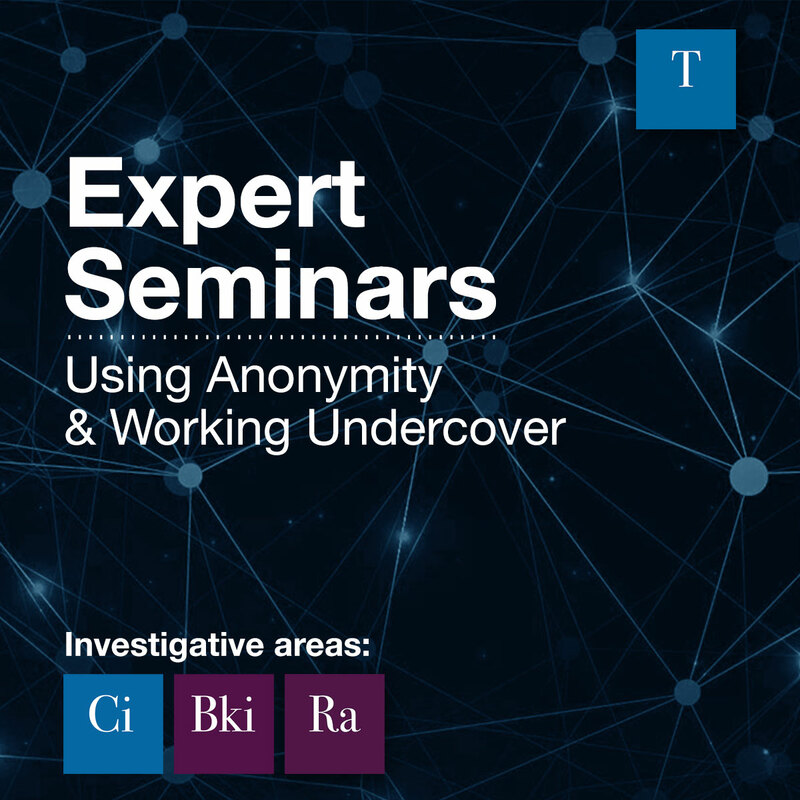 This advanced class provides tools for how to work undercover online, while adhering to ethical standards and laws. In this intermediate to advanced class, participants will receive hands-on training on how to conduct investigations on social media platforms without compromising their online identity, gain tools for working online undercover, and know how to avoid exposure when researching subjects online. Upon completion of the course, investigators will be able to conduct undercover online investigations and ethically protect their identity while conducting investigations. Asset searches tend to be connected to every type and form of investigation. 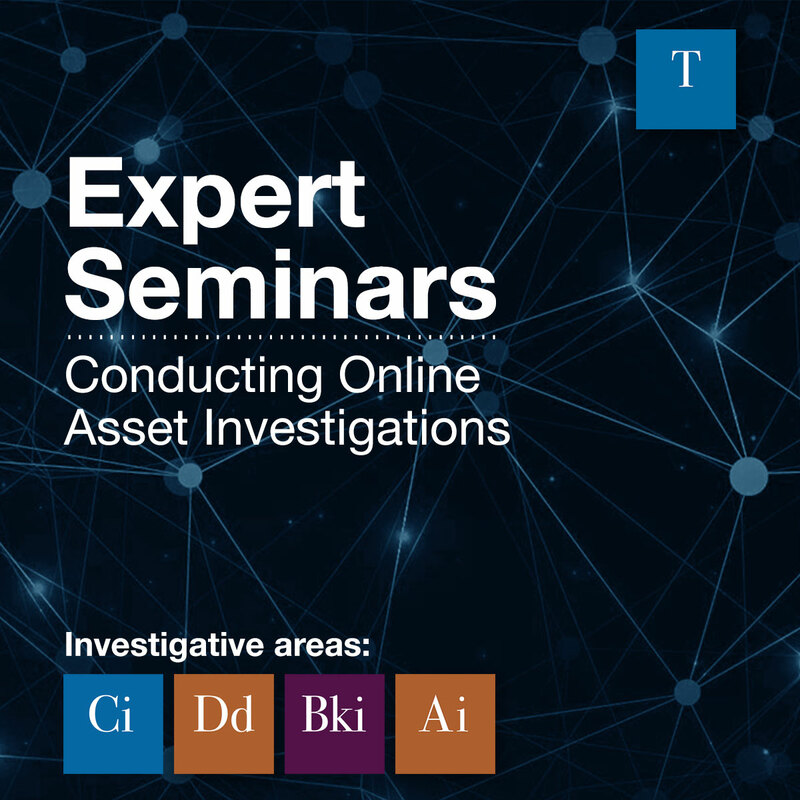 This course examines types of asset investigations, how best to leverage the Internet in your investigations, and the legal means to conduct an asset investigation. In this intermediate to advanced hands-on class, participants will learn the most efficient methods for locating someone or an asset on the Internet. We will discuss the six reasons of when, where, and why to conduct an asset investigation and what resources—both online and offline—are most beneficial for locating leads or content. Additionally, you will learn the pitfalls, allurements, and outright illegal actions to avoid when gathering information. Upon completion of the course, field investigators will be able to legally obtain bank account information and other assets, use social media to identify assets and asset potential, and identify the offerings of illegally obtained asset information. A good investigator needs search tools that go beyond the generalized Google resource. This course explores new search engine resources and how to properly conduct advanced Internet and social media searches. In this intermediate hands-on class, we will go beyond generalized Google searches and learn unique search tools specific to investigative needs. 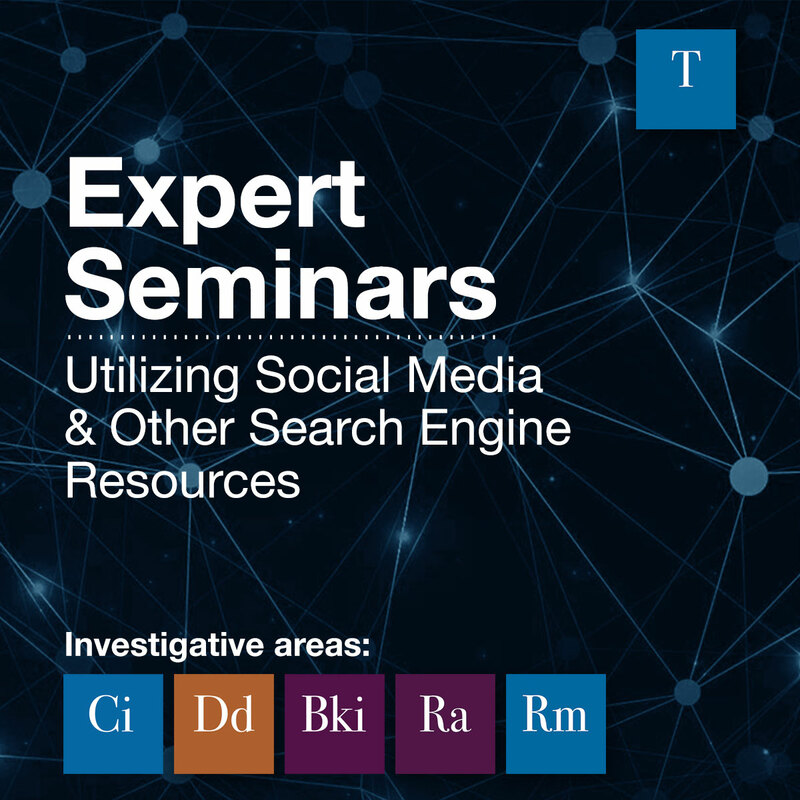 Participants will learn new search engine resources and how to properly conduct advanced Internet and social media searches for people, non-profits, and more. We will also discuss how to track down older online material. Upon completion of the course, field investigators will be able to utilize online monitoring alert services, both free and fee-based; identify specialized, subject-specific search engines; and understand how to keep up with new search engines for investigations and research. Meeting new people through social functions, social media, and even dating apps can be exciting. However, before getting emotionally, financially, or personally involved, it is a good time to check for any fraudulent or criminal past. 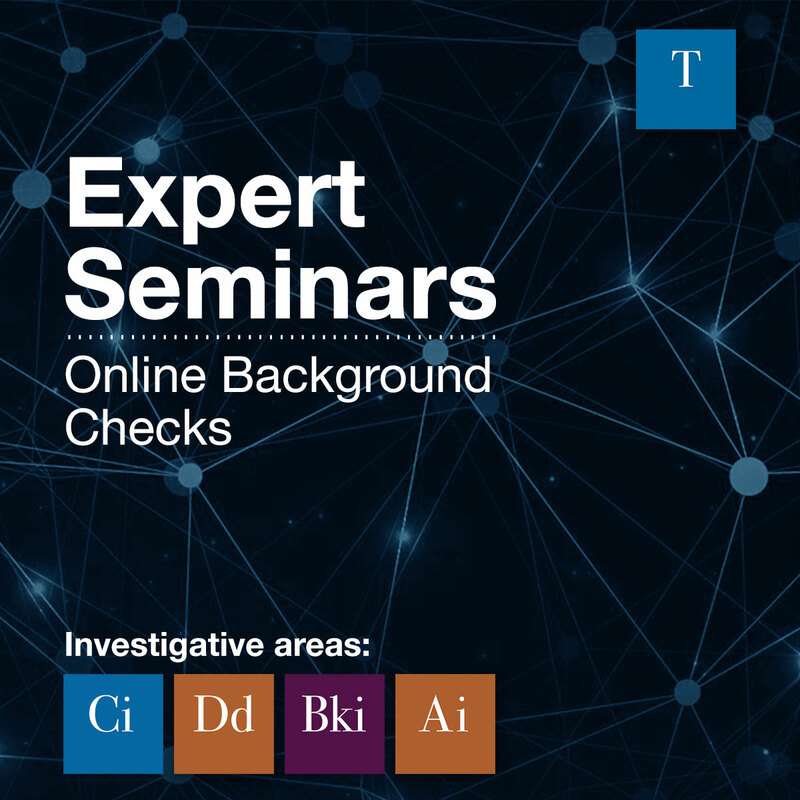 This course delves into how to conduct thorough online background checks to put your mind or your client’s mind at ease. In this intermediate to advanced hands-on course, participants will learn the ins and outs of conducting online investigations of an individual. You will be introduced to a plethora of databases, free resources, and techniques for locating a person’s history. Upon completion, field investigators will be able to deconstruct social media profiles for background checks, connect associations between users of social media, and search public records to uncover intelligence to support your cases and help inform your reports. Sample background reports and a how-to background check guide will be shared. In this advanced hands-on course, participants will master completing a due diligence report utilizing a wealth of information: public records, legal filings, newspapers, magazines, trade journals, blogs, and open source material. You will utilize the tools and resources needed to find and vet information about companies and their owners. Additionally, we will examine professional fee-based and free tools and resources to understand their functionality and limitations to access all the information that’s out there. Upon completion of this course, field investigators will be able to write reports that emphasize and highlight key findings, identify key resources available to investigators that go unused, find and vet applicant information within keystrokes, and implement handy tactics for conducting online fraud investigations. An expert witness plays a key role in the courtroom. But what if the expert witness turns out not to be an expert at all, but a fraud? 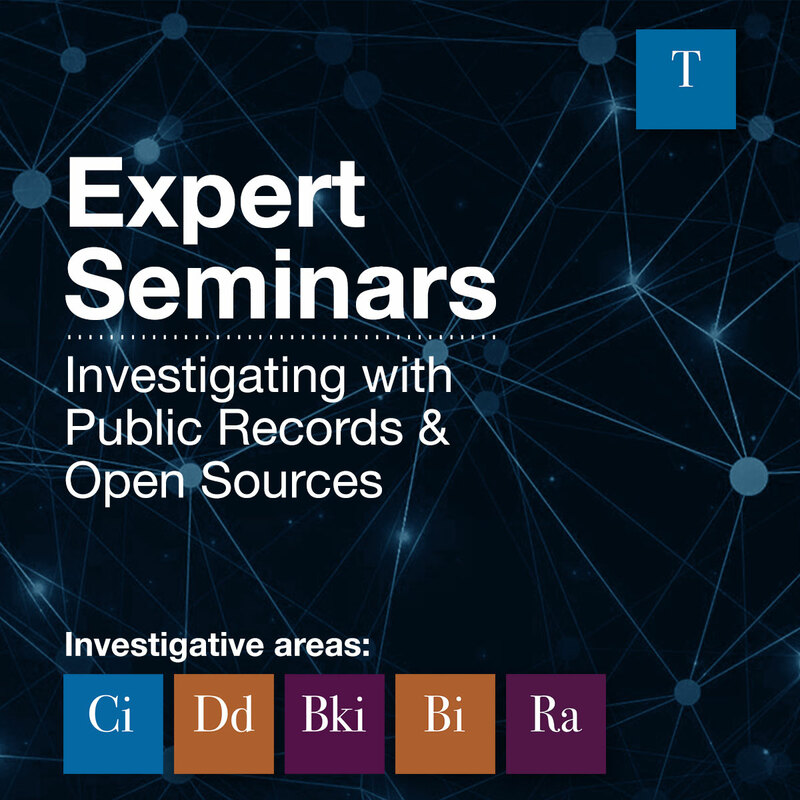 This class will explore the open sources, databases, social networks, and public records that can be utilized to verify the real experts from the frauds. In this intermediate to advanced hands-on course, participants will be exposed to methods and resources used when researching and verifying the background of testifying and consulting experts and their credentials. Using freely available online resources, the class will vet the background and authenticity of the presenting expert to establish or debunk their credentials. 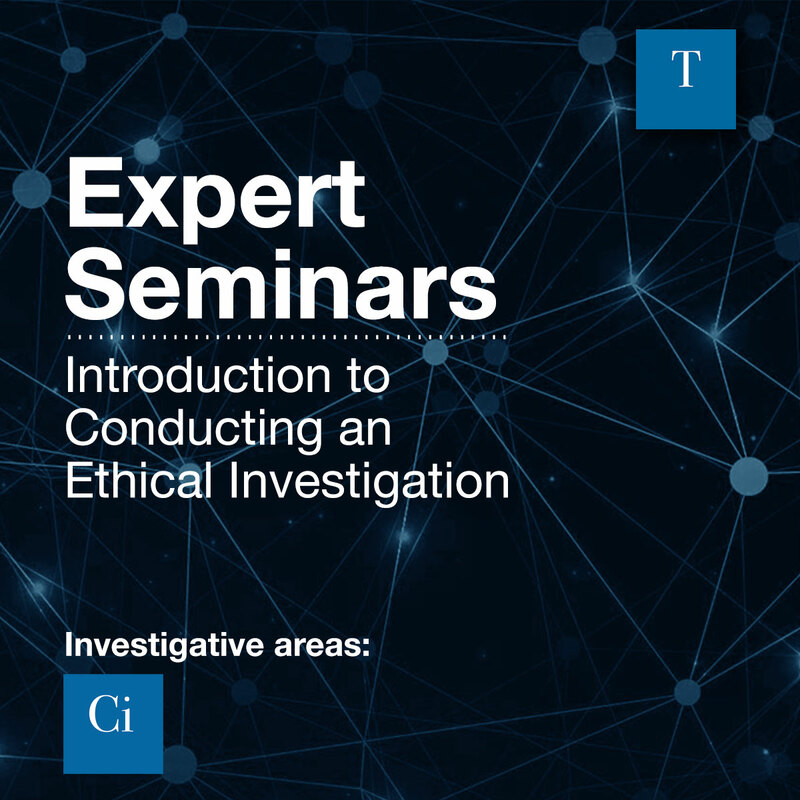 Upon completion of the course, field investigators will be able to identify the difference between a testifying expert and a consulting expert; verify, vet, or prove the background and experience of the expert you are establishing; read, analyze, and scrutinize a resume or curriculum vitae for fraud or mistruths; and create follow up questionnaires for interviews or deposition. In this intermediate to advanced hands-on course, participants will examine sources for information, including the top foreign corporate databases for researching overseas companies and their principals; explore a list of databases serving foreign countries; and acquire global resources helpful for consolidating multiple country searches. 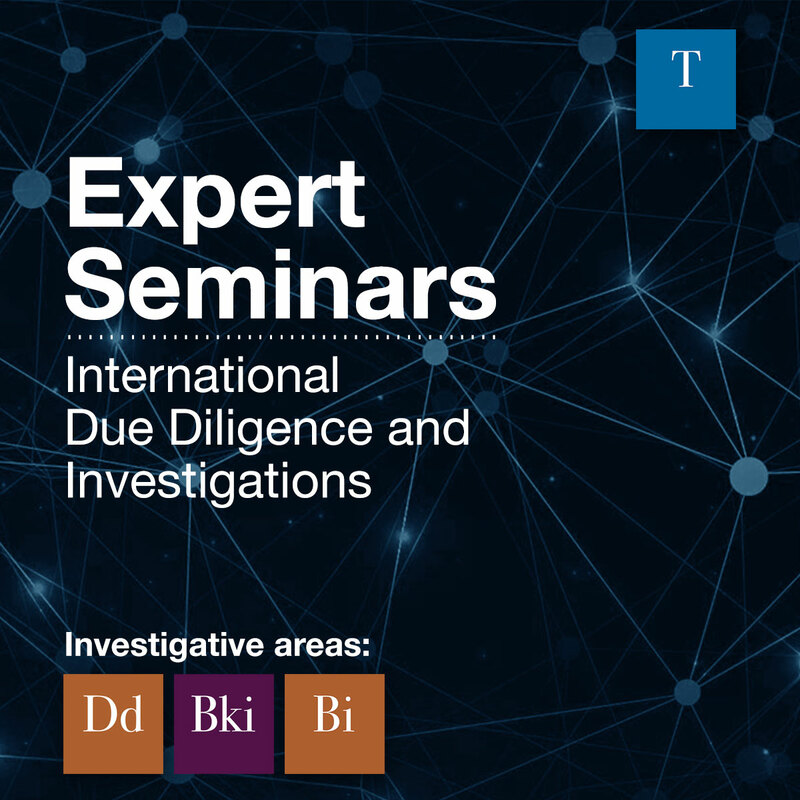 Upon completion of the course, field investigators will be able to conduct international due diligence investigations, navigate and utilize social networks in specific countries, and spot indicators to fraudulent practices and shell companies. Investigating social media networks is more complex than it appears. Web 2.0 is an Internet feature which professionals need to understand first and utilize second. This class focuses on using Web 2.0 features to vet hires, conduct due diligence pre-acquisition, prevent competitive intelligence, and identify problem employees before workplace violence or intellectual property theft occurs. 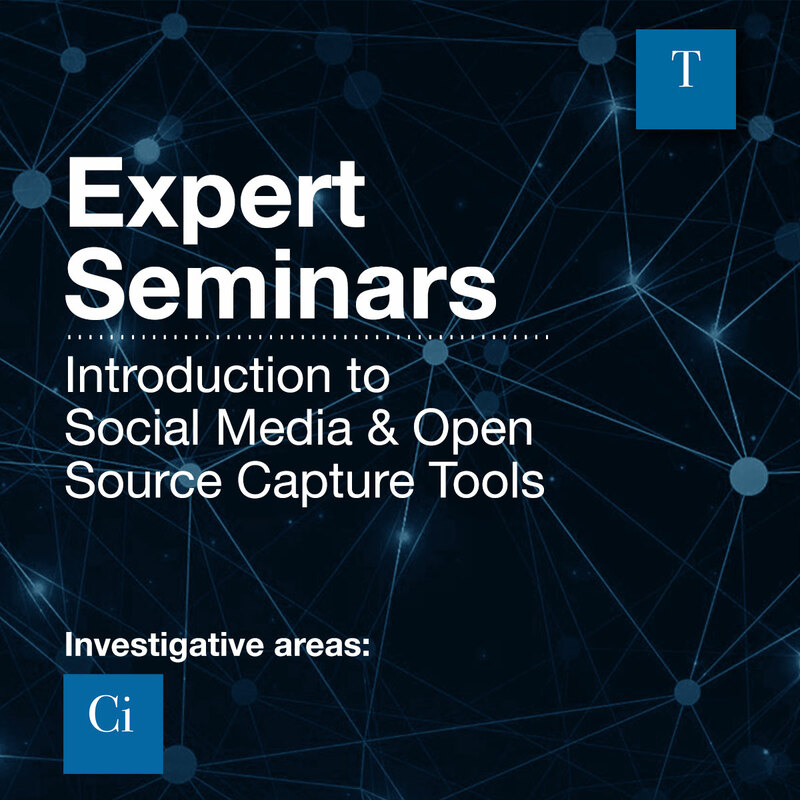 In this beginner to intermediate hands-on course, participants will learn how to utilize social- and photo-network Web sites, mapping tools, and other Internet features used for intelligence-gathering and security assessments. We will discuss the best ways to search social media and how to use the focused social media search engines that identify and uncover social media profiles and their content. 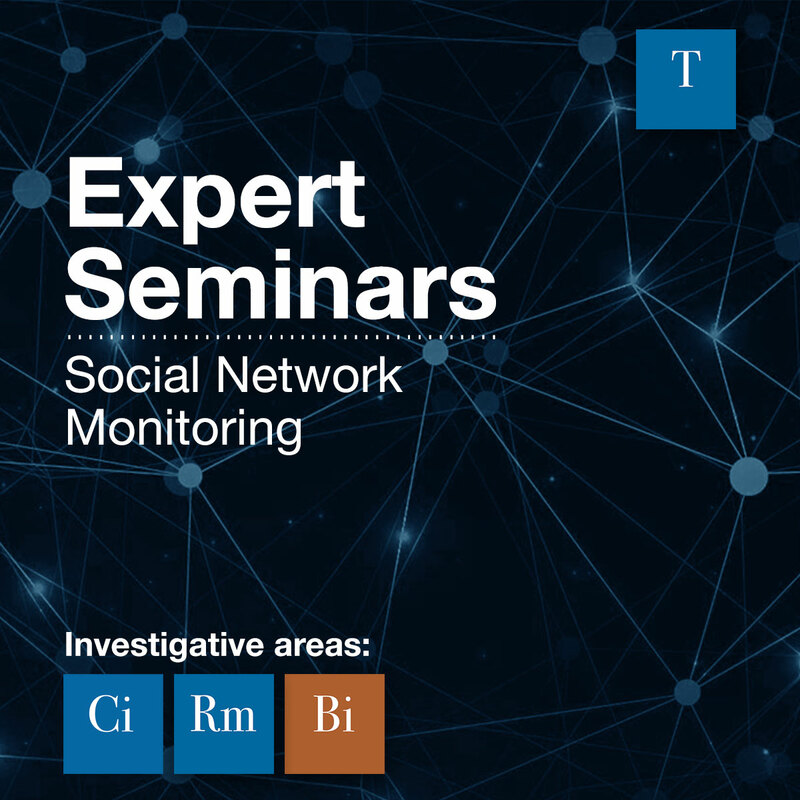 Additionally, we will explore how to conduct link analyses of social media profiles and determine how to gather intelligence without breaking the terms of service. We will also look at trending issues in social media that are changing every day. Upon completion of this course, field investigators will understand the difference between Web 2.0 and traditional sites and be able to locate information, document their discoveries, determine how it plays into their cases, and understand how to follow leads. 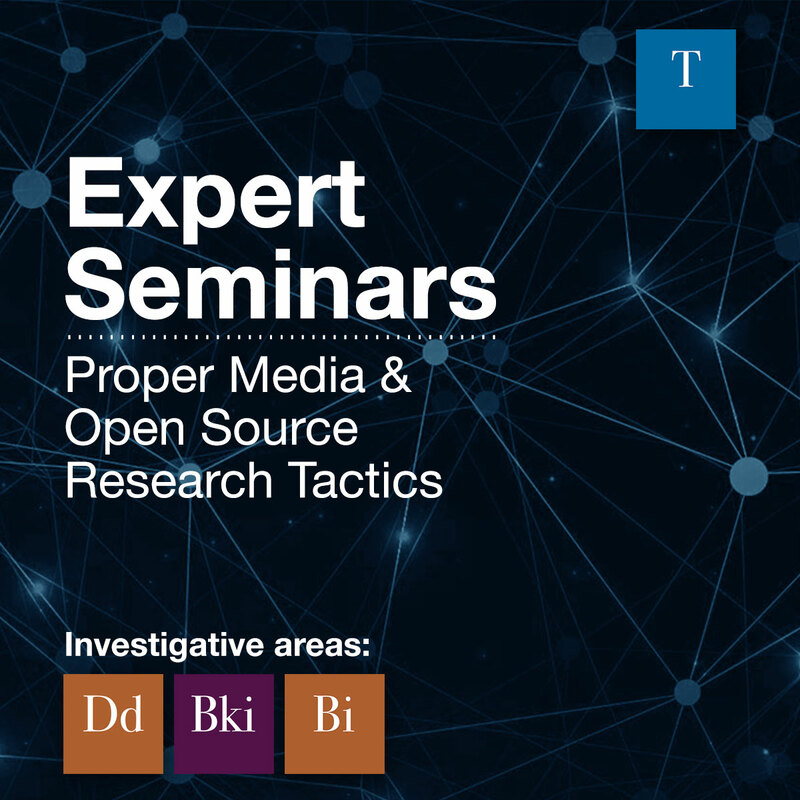 An undeniable amount of background investigations and case research can be developed from newspapers, magazines, trade journals, blogs, and other open source materials. 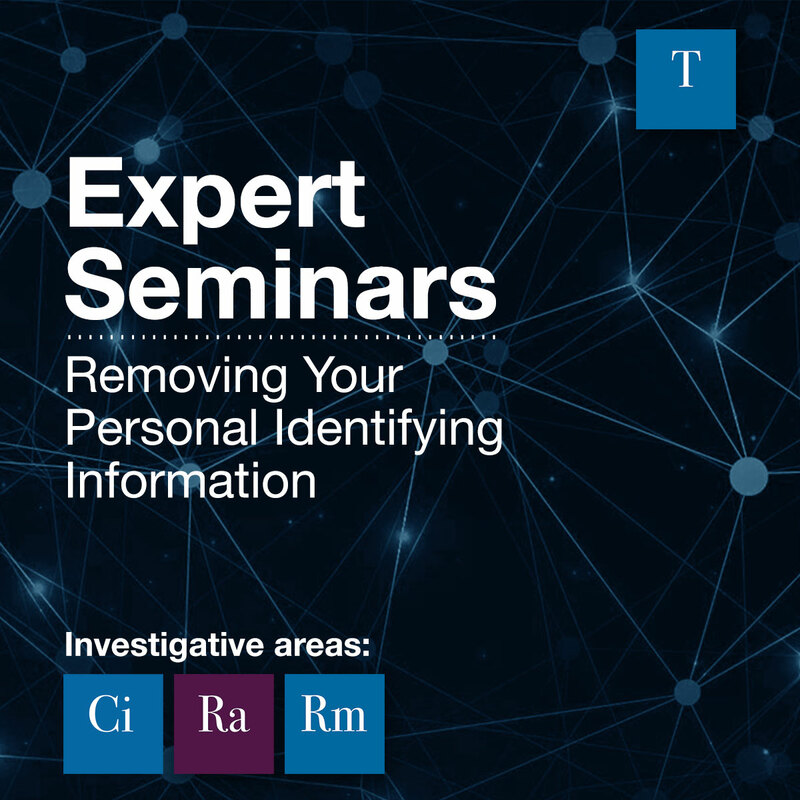 This course will provide investigators with the skills to track and locate critical information needed to complete your cases. In this intermediate to advanced hands-on course, participants will learn the proper resources for finding key information and developing well-rounded investigations. We will cover professional fee-based tools as well as very useful and handy free resources. Upon completion of the course, field investigators will be able to identify underutilized key resources; determine whether a fee-based or free service is most beneficial to their investigations; and know where the overlap of one aggregated service (news, social media monitoring, and geo-fencing) is at and how to shop and pay accordingly. Knowing the backgrounds and credentials of foreign and domestic organizations and individuals empowers your clients to make sound business decisions. 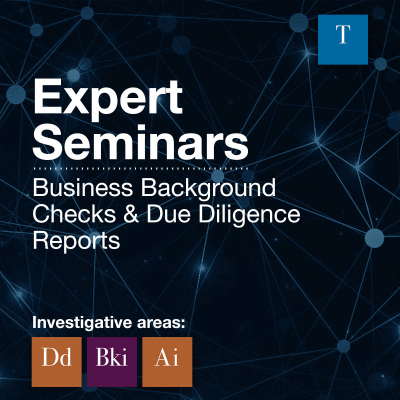 Public or private, foreign or domestic, this class focuses on the elements required for developing a complete due diligence report. In this beginner to intermediate hands-on course, participants will examine public records, legal filings, media, and other sources to understand their functionality and limitations. Based on Cynthia Hetherington’s books, this class focuses on the requirements of a complete business due diligence report. Upon completion, field investigators will know the Top 20 Items to be included in every due diligence investigation, be able to write reports that emphasize and highlight key findings, and know how to access the mandatory databases for conducting business background investigations and due diligence. Knowing specialized technical search techniques and resources are invaluable when tracking down the owner of a web site, photo, copyrighted image or other electronic document types. 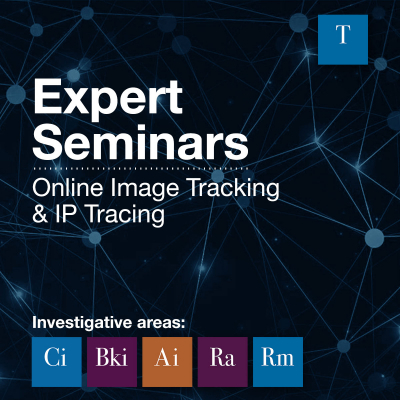 This class provides a comprehensive introduction to unique search tools for tracing images and IP addresses. This introductory class offers participants hands-on training on how to track down images online, whether copyrighted or sensitive. Participants will learn how to utilize photo recognition search engines and locate users and their online posts using IP tracing, Whois services, and other search tools. Upon completion of the course, field investigators will be able to find and identify five logistics of an online image, including location metadata and hash values.